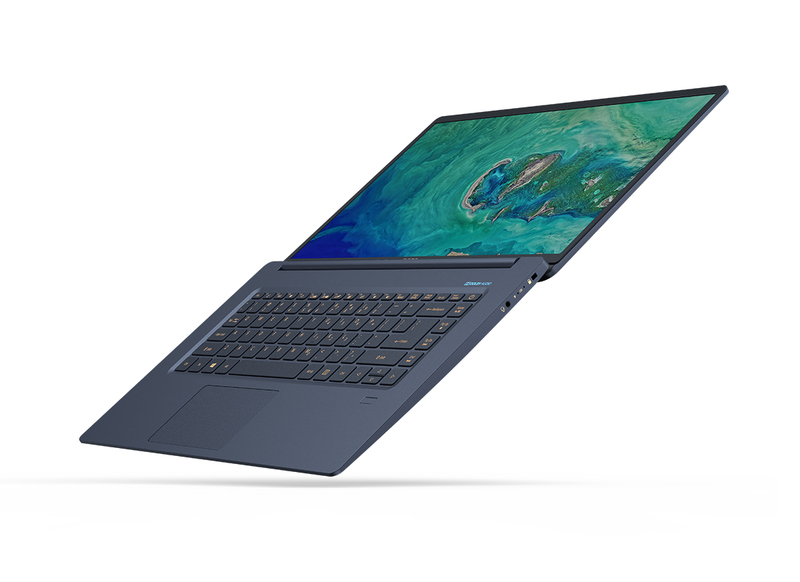 Acer, Inc. has recently announced to media people and practitioners their latest technology innovation thru the next@Acer Global Press Conference Viewing Party live concurrently from press event at IFA in Berlin, Germany. One of the many new lines of devices introduced was The Swift Notebook series. The Swift 5 (SF515-51T) is powered by the latest 8th Generation Intel™ Core™ i7-8565U and Core i5-8265U processors to deliver responsive performance and up to 10 hours of battery life for day-to-night productivity. Running Windows 10, the new Swift 5 is a large-screen productivity powerhouse. The Swift 5’s Full HD 1920x1080 IPS touchscreen features ultra-narrow bezels measuring just 5.87 mm (0.23 inches), giving it an incredible 87.6% screen-to-body ratio to create an immersive viewing experience. The wide viewing angles make it easy to enjoy streaming video with friends and colleagues. Acer BluelightShield reduces blue-light emissions for nighttime viewing, while Acer Color Intelligence™ technology dynamically adjusts gamma and saturation in real-time for optimum screen-color and brightness. Plus, Acer TrueHarmony technology and optimized Dolby Audio deliver high-quality sound via the dual stereo speakers. 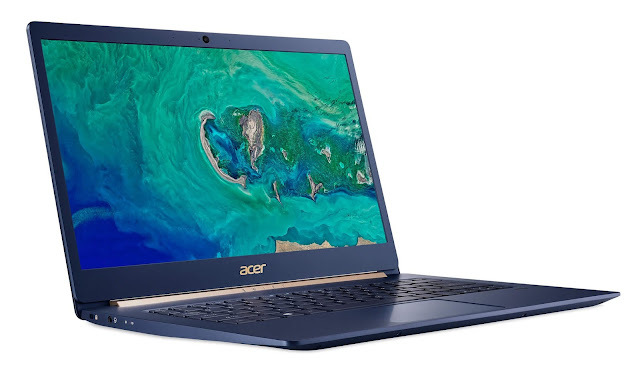 Acer has updated its ultra-portable 14-inch Swift 5 (SF514-53T) with the latest Intel Core processors to deliver a boost in performance and battery life. Now using new Intel Core i7-8565U and Intel Core i5-8265U processors, the 14-inch Swift 5 offers an exceptionally fast and responsive experience and up to 8 hours of battery life to keep customers productive. Outfitted with a 14-inch Full HD display, the elegant chassis on the Swift 5 (SF514-53T) weighs only 970 grams (2.14 pounds) and measures only 14.9 mm (0.59 inches) thin, making it the right device for people on the go. It sports a similar design to the 15.6-inch model that is both ultra-light and sturdy—built with a magnesium-lithium alloy construction for the top and bottom cover and a magnesium-aluminum alloy palm rest. The Full HD IPS touchscreen is surrounded by narrow bezels of just 9.32 mm so customers can get the most from what’s on their display. The Swift 3 (SF313-51) is the ultimate 13-inch notebook PC for productivity on the go thanks to its full HD 1920x1080 13.3-inch display and an option for integrated 4G LTE, packed into a super-light 1.3 kg (2.86 pounds) design that is only 15.9 mm thin (0.63 inches). 4G LTE provides an always-available connection even when no WiFi network is available. When it is, customers can connect via fast and reliable 2x2 802.11ac WiFi. Powered by Intel Core processors, it provides solid performance and up to 13 hours of battery life. Plus, the notebook offers up to 8 GB of DDR4 RAM and up to 512 GB NVMe PCIe SSDs, further accelerating response times. The Swift 3 (SF314-55/SF314-55G) packs a full HD 14-inch display into a 1.4 kg (3.08 pounds) design that measures only 14.9 mm thin (0.59 inches) and has super-thin 6.1 mm side bezels. Powered by the latest 8th Gen Intel Core i7-8565U/i5-8265U/i3-8145U processors, up to 8GB of DDR4 RAM and up to 512GB PCIe NVMe SSDs, the system is speedy and delivers 12 hours of battery life. Plus, it provides the option for discrete NVIDIA® GeForce® MX150 graphics, so customers have the power they need for more computing-intensive tasks such as editing video and casual gaming. Users can stay connected with 2x2 802.11ac Gigabit WiFi and use the system’s USB 3.1 Type-C Gen 2 port for high-speed 10 Gbps data transfers, powering delivery, as well as display output.